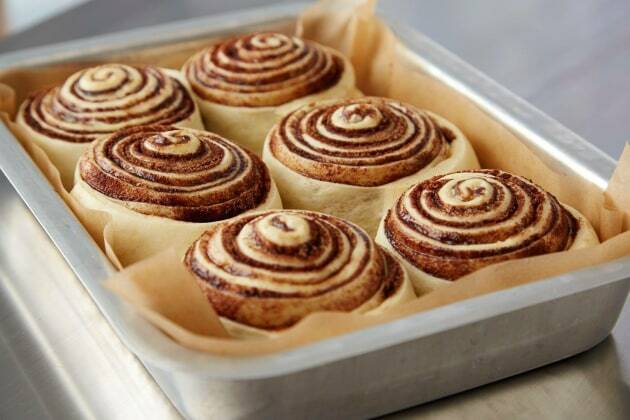 Family-owned Bansal Group is expanding its portfolio of retail, food and beverage brands to bring bakery chain Cinnabon to Australia. The deal with Focus Brands, the American parent of Cinnabon, comes as the Bansal Group celebrates the first anniversay of the opening of its Carl’s Jr restaurants in Queensland. Bansal Group owners Gaurav and Vishal Bansal are jumping into Australia’s highly-competitive quick-service-restaurants sector, with the first Cinnabon store opening in South East Queensland later this year. Cinnabon, known for a baked scroll product made with Makara cinnamon from Indonesia and covered in cream cheese icing, has over a thousand bakeries worldwide. After opening six freestanding Carl’s Jr. restaurants last last year, with a seventh to open this month, the compnay says it is feeling confident about launching a big brand. “There’s a lot involved with every opening, so we’re doing our homework and will only open stores when we’ve found a great location, but the plan is to open 50 stores in the next three years,” Bansal Group co-owner, Gaurav Bansal said. It it reported that the Cinnabon concept will be sub-franchised by the Bansal Group, but the company will operate some of the stores.